New Zealand Conservative (NZC) was established on Sunday 11 March 2007 by Lucia Maria. ZenTiger, Fletcher and Mr Tips joined shortly thereafter and retired in 2010. Border Collie joined in 2008 and retired in 2009. Andrei joined NZC in April 2009 and explains another piece of history: In memory of days of yore. Vanguard joined November 2011. 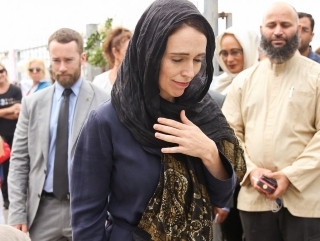 New Zealand Conservative is therefore a collection of individual bloggers with individual and varying opinions on a wide range of issues, but in the main follow a Catholic moral line and a Conservative political bent. We are NOT connected to the Conservative Party of New Zealand in any way, shape or form. First, the conservative believes that there exists an enduring moral order. That order is made for man, and man is made for it: human nature is a constant, and moral truths are permanent. A society in which men and women are governed by belief in an enduring moral order, by a strong sense of right and wrong, by personal convictions about justice and honor, will be a good society—whatever political machinery it may utilize; while a society in which men and women are morally adrift, ignorant of norms, and intent chiefly upon gratification of appetites, will be a bad society—no matter how many people vote and no matter how liberal its formal constitution may be. Second, the conservative adheres to custom, convention, and continuity. It is old custom that enables people to live together peaceably; the destroyers of custom demolish more than they know or desire. It is through convention—a word much abused in our time—that we contrive to avoid perpetual disputes about rights and duties: law at base is a body of conventions. Third, conservatives believe in what may be called the principle of prescription. Conservatives sense that modern people are dwarfs on the shoulders of giants, able to see farther than their ancestors only because of the great stature of those who have preceded us in time. The individual is foolish, but the species is wise, Burke declared. In politics we do well to abide by precedent and precept and even prejudice, for the great mysterious incorporation of the human race has acquired a prescriptive wisdom far greater than any man’s petty private rationality. Fourth, conservatives are guided by their principle of prudence. Any public measure ought to be judged by its probable long-run consequences, not merely by temporary advantage or popularity. Providence moves slowly, but the devil always hurries. Fifth, conservatives pay attention to the principle of variety. For the preservation of a healthy diversity in any civilization, there must survive orders and classes, differences in material condition, and many sorts of inequality.